For this article I will try to analyse the Myth of Odin and the Poetic Mead. I will focus particularly on the part where Odin goes in search of the Mead. I’m far from being a specialist on mythology but here are my thoughts and feelings toward this myth. Kvasir was in the habit of journeying hither and thither in the world for the purpose of teaching wisdom to men. Once upon a time he was invited to visit the home of the Dwarfs Fjalar and Galar; they begged permission to speak a word or two with him in private, and promptly killed him. His blood they allowed to drip into two crocks and a kettle; then they mixed honey with the blood and from this pottage they brewed a mead possessing the peculiar virtue that whoever should drink of it would become a skald or a soothsayer. The two crocks are called Son and Bodn, and the kettle Odrœrir. The Dwarfs told the Æsir that Kvasir had been drowned in his own perfect wisdom, no man being wise enough to match wits with him. Some time later the Dwarfs invited into their home a Giant named Gilling and his wife. The Dwarfs asked the Giant to row out to sea to fish with them; as they were rowing along the shore, the boat struck a reef and overturned. Gilling, being unable to swim, was drowned, while the Dwarfs managed to right the boat and reach land. When they told the Giant’s wife of the accident, she moaned and wept aloud. Fjalar suggested that it might ease her grief to look out to sea where her husband had perished, and the thought pleased her; whereupon Fjalar directed his brother Galar to take a millstone, post himself above the door, and drop the stone on her head as she stepped out, for he was heartily wearied with her lamentations. Galar did as he was told. When Suttung, Gilling’s son, learned what had happened, he came upon the Dwarfs, took them captive, and marooned them on a reef over which the sea washed at flood tide. In their distress they begged Suttung to have mercy on them and offered to give him the precious mead in recompense for his father’s death. Suttung accepted their proffer, and in this way a reconciliation was effected between them. He hid the mead at a place called Nitbjorg and set his daughter Gunnlod to keep watch over it. When all these events came to the knowledge of Odin, he set out determined to secure the mead for himself. In his journey he came to a meadow belonging to Suttung’s brother Baugi, where he saw nine thralls at work cutting hay. On his asking if they wanted their scythes sharpened they gladly accepted his services. Taking his whetstone from his belt he put such a fine edge on the scythes that the thralls were eager to buy the whetstone from him. He was willing to sell, but finding that each one of them coveted it, he tossed the whetstone into the air; all of them tried to catch it at one time, and thus had the misfortune to cut one another’s throats with their scythes. Now Odin found lodging for the night with Baugi. Baugi complained to Odin that his nine thralls had killed one another, and that he was at his wits’ end to get laborers in their stead. Odin, who had called himself Bolverk, offered to do nine men’s work for Baugi, if Baugi would only procure him a draught of Suttung’s mead by way of wages. Baugi answered that, though he had no sort of control over the mead, which Suttung kept in his own charge alone, he was willing to go in the company of Bolverk and try to gain possession of the mead for him. While summer lasted, Bolverk did the work of nine men for Baugi; but when winter came, he demanded his hire. The two accordingly visited Suttung, to whom Baugi explained the agreement between himself and Bolverk; but Suttung refused outright to let them have so much as a single drop. Bolverk then proposed to Baugi that they would have to try to get hold of the mead by some sort of trickery, and Baugi was nothing loath. Bolverk produced an auger called Rati and asked Baugi to bore a hole with it through the mountain, that is, provided the auger would bite rock. Baugi set to work and had not bored a great while before he declared that he had made a hole clear through the stone of the mountain. On Bolverk’s blowing into the hole, however, the grit flew back into his face; having thus discovered that Baugi meant to fool him, Bolverk enjoined him to bore again in sober earnest. Baugi plied the auger a second time; and when Bolverk blew once more, the dust flew inward. Bolverk now transformed himself into a snake and crawled through the hole. Baugi tried to pierce his body with the auger but failed. Odin soon made his way to the spot where Gunnlod sat guarding the mead, and remained there with her three nights. She gave him leave to drink thrice of the mead; the first time he drained Odrœrir, the second time Bodn, and the third time Son. Then taking on the form of an eagle, he flew away as fast as ever he could fly. When Suttung became aware of what was going on, he too assumed the shape of an eagle and spread his wings in pursuit of Odin. When the Æsir caught sight of Odin flying toward home, they placed their crocks out in the courtyard. On alighting within the walls of Asgard, Odin spewed the mead into the crocks; but Suttung having by that time nearly overtaken him, he let a part of the mead slip behind him. The gods, however, were not in the least disturbed, and permitted who would to gather up the dregs. Odin made a gift of the mead to the Æsir and to all who understand the art of poetry; the remnants of mead which fell into the mire became the allotted portion of poetasters. I think that it’s a myth in which we can find a lot of symbolism. I also think that poetry has played a great role in the different Indo-European religions. Our Aryan ancestors used poetry to transmit our founding myths, our cosmogony, our eschatology, the history and the adventures of our Gods and Goddesses. The Edda, the Rig-Veda, the Mahabharata, the Iliad or the Aeneid are important poems transmitted to us by our ancient ancestors. With poems like the Edda or the Rig-Veda, we are able to learn about our ancient religion, its practices etc. I think that in the past, not everyone was able to remember all those myths, to recite them, or to create them. If we follow Dumezil in his trifunctional hypothesis of social classes in ancient Indo-European societies, I think that we can class the Skalds (Poets) like the Gothar or the Brahmans, in the first function of sovereignty/priesthood. They were leaders for the masses. They had somehow reached a higher level of illumination than the average people. It seems that a thing of such high importance as poetry cannot have originated with man himself. It’s why poetry is often considered as a gift from the Gods. 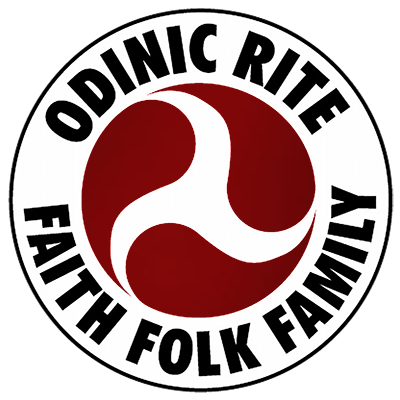 We can also add that often Gods of the highest rank are guardians and patrons of poetry, Zeus and Apollo among the Greeks, Odin and Bragi for the Germans/Scandinavians. This myth speaks about the mead, and the mead also plays a great role in our religious practices. We come across mead in many of our myths but we also find it under the name of Soma in the Rig-Veda. We also use the mead in our actual blot during the memory cup. And during this part we speak about “the blood of Kvasir, which is knowledge”. For me there is a direct connection between this myth and one of our actual practices. So it’s why I decided to investigate a little deeper into this myth. Another reason is that I think that this myth is a really ancient Aryan myth. The clue is that we find many connections with it in the Rig-Veda. For me this can be a clue of its importance and old age. One of you Mātariśvan brought from heaven, the Falcon rent the other from the mountain. Strengthened by holy prayer Agni and Soma have made us ample room for sacrificing. Before all birds be ranked this Bird, O Maruts; supreme of falcons be this fleet-winged Falcon, Because, strong- pinioned, with no car to bear him, he brought to Manu the Godloved oblation. When the Bird brought it, hence in rapid motion sent on the wide path fleet as thought he hurried. Swift he returned with sweetness of the Soma, and hence the Falcon hath acquired his glory. Bearing the stalk, the Falcon speeding onward, Bird bringing from afar the draught that gladdens, Friend of the Gods, brought, grasping fast, the Soma which be bad taken from yon loftiest heaven. The Falcon took and brought the Soma, bearing thousand libations with him, yea, ten thousand. The Bold One left Malignities behind him, wise, in wild joy of Soma, left the foolish. He, like a cloud that rains upon the pasture, hath found for us the way to dwell in safety. When the Hawk comes in body to the Soma, armed with his iron claws he slays the Dasyus. I think that Kvasir is an important figure in our mythology. How Kvasir was created is very interesting. The myth says that he was created when the Aesir and the Vanir have concluded peace after a war between them. The two groups of Gods decided to form a truce by way of both sides spitting into a vat. After they left, the gods kept the vat as a symbol of their truce, “and decided not to let it be wasted and out of it made a man”. The man was named Kvasir, and he was extremely wise; he knew the answer to any question posed to him. Kvasir travelled far and wide throughout the world teaching mankind and spreading his vast knowledge. So we can see that Kvasir is a God of Wisdom. I think that in a certain way, Kvasir possess all the knowledge, wisdom and characteristic of all the gods who spit in the vat. Another really interesting thing about Kvasir: According to Eugene Mogk and Georges Dumezil, Kvasir could be the personification of an exhilarating drink recalling the fermented kvas of Slavic peoples. According to them the fact of spitting in a vat is an ancient technique of fermentation to produce a kind of “berries’ alcohol”. Mead is really important to our religious practice. This is the mead that we share during our blots, this is the mead that we offer at Mother Jorth. Mead is the beverage of the gods. It’s the “spiritual food”, the blood of Kvasir so it’s the divine wisdom. Its consumption brings strength, courage, “immortality” and knowledge. We all have a spark of divinity in us and with the blot and the mead that we are drinking ” during the memory cup we strengthen this spark and our links with the gods. After drinking the mead we say “We have become one with them and we have shared their glory”. Of course the mead has to be consecrated to be more than a beverage. I see a connection between the three recipients containing the mead in Gunnlod place and the three wells in the Realm of Hel: Hvergelmere, Mimir’s well and Urd’s well. And it’s after drinking to Odroerir that Odin gets wisdom. So there is maybe a connection between these two myths. In the myth it is said that Gunnlod is a young giant maiden who guards the cavern where the mead of poetry is housed. Her name means “Invitation to Battle”, a name which according to Rudolf Simek in his Dictionary of Northern Mythology would suit better for a Valkyrie than for a giantess. In a certain way, we cans see that Gunnlod serves mead to Odin, a role assigned to the Valkyries in Valhalla. Then the Valkyrie proceeds to instructing Sigurd in the sacred lore and secrets of the runes. With that, Sigurd gains knowledge and wisdom. There is maybe a connection between the two myths. I see a connection between this and the NNV of the OR. Bolverk (Odin) is able to access to the place where Gunnlod is guarding the Mead because he was able to live his life in accordance to the NNV. He lives an honourable and skilfull life. We can also see the “nine men’s” work as an initiation ordeal. I think that the part where “Bolverk produced an auger called Rati and asked Baugi to bore a hole with it through the mountain that is, provided the auger would bite rock” is really important in this myth. We find in this part two very important symbols: the mountain and the cave. Dominating the world of men, the mountain is on the edge of heaven and earth. It expresses the encounter of the temporal and spiritual. Its “volume” embodies the continuity and the eternity. Its peak also symbolizes the proximity with the gods. We can make an allegory between the fact of climbing a mountain and the path to attain a higher consciousness. When we reach the summit, we reach illumination. We can maybe compare the reaching of the summit as the moment when after many rebirths we finally are able to live our life skilfully. And so we are therefore worthy of reaching Asgard with the help of our Valkyrie. We also can see the mountain as a “world-axis”. The cave has a lot of symbolism. Cave play an important role in shamanism. It’s a possibility that in Siberia, the shamans consider the yurt as a cave. We can see the cave as a door for the “underworld”. Through the cave we can reach the underworld to find our Fylgja. We also can see it as the womb: a place of birth, regeneration, and transformation. Passing through the cave represents a change of state, also achieved by overcoming dangerous powers. We can see it as a place of initiation, a place of secrets, the entrance to which was hidden from the profane. For example we know that the cave played a great role in the Mithraic mysteries. In Germanic tradition, caves are the place of dwarfs, dragons who can transform us “internally”. If we consider the cave as an allegory of the realm of Hel, we know that the entrance to Asgard is through Hel. The snake is essentially a chthonic animal (the snake is very close to the earth as it has no “legs”). It symbolizes, in its immediate aspect, the sub-personal element (sub-consciousness). It belongs to the “subterranean world” or lower world. It is interesting to note that in the French translation of this myth, the snake is not one, but he is described as an earthworm. The serpent can also be seen as a representative of the primal life energy stored at the base of the spine, like the Kundalini. Used wisely and correctly, this energy can help us to open our “third eye”, to attain the Odin’s consciousness. I think that the snake could symbolise in a certain way our “normal state of consciousness”, our day-to-day consciousness, our earthly condition, and our state of mind before we are totally awakened. We can maybe make a connection between the three drafts of mead in Gunnlod’s place with the Hel-Drink, which is administered to the “dead” near Urd’s fountain. This Hel-Drink is said to be composed of the waters of all three sacred Wells of Hel. We also can maybe make a connection with the Myth of the discovery of the Runes: when Odin plunged deep into the Well of Wisdom, and drank deep of its powerful mead. The eagle is a solar symbol. He was often the symbol of the Royalty (sovereignty/priesthood). The eagle is the “king of the sky”. The eagle also symbolizes in a certain way the divinity. The eagle with its wings can rise above the earthly condition. The eagle is symbolic of our super-consciousness, the state we gain when we have reached Odin’s Consciousness. In the more obvious and literal level, this myth explains how the poetic art (and thus knowledge and wisdom) was discovered by Odin and after that offered to all who understand the poetic art. I think this myth talks about the initiation of the poet/priest. The discovery of the poetic art (knowledge and wisdom) was not an easy task. Odin had to pass through different ordeals before he was able to gain it. He had to “kill” the nine thralls, to do nine men’s work for Baugi, to pass through the mountain, to spend three nights with Gunnlod. We can see these ordeals like an initiatory rite. I think that he had to prove that he was worthy of this knowledge and wisdom. In this myth Gunnlod seems to play the role of the “instructor” like Sigrdrifa /Brynhildr with Sigurd. After having proved that he was worthy of knowledge and wisdom, Gunnlod gives him leave to drink thrice in the mead. After that he takes the form of an eagle (he have reached a higher level of consciousness) and he returns to share the knowledge with the other gods and with people who are worthy to learn. The fact that the remnants of mead which fell into the mire became the allotted portion of poetasters can explain that not everybody is able to gain this knowledge and wisdom. Some think that they have gained it but in fact it’s just an illusion. Suttung chasing Odin in eagle shape is a way to remind us that even if we have gained knowledge we must always be aware that there can be something or someone that can distract us from the path of wisdom. The poetry seems to have been very important in the religious practice of our Aryan Ancestors. I think that in the past, everybody was not able to be a poet, a skald, a Gothi, or Brahman etc. We know that poetry played a great role in our religion and myth. The Edda, the Rig-Veda are poetic and religious texts. There were ways to transmit the sacred religious wisdom of our folk. I think that very few people were able to remember all this sacred text. They also had a great responsibility. So I think that they had to follow an initiation to prove that they were worthy enough to gain access to all this knowledge and wisdom. And after that they surely had to studies over a long period of time before they were able to gain “a higher consciousness.” The fact that there is a portion of mead allotted to the poetasters is proof that there have always been “charlatans”. People who think that they have gained wisdom and knowledge but that in fact live in a big illusion. At a deeper level, I think that we can see this myth as a path to reach the Odin consciousness, an initiatory path. I see connection with it and the “Myth of the After-life”. When we began our search to gain more wisdom, knowledge, to gain a deep spiritual awakening, we had to fight against enemies both interior and exterior. Of course the more difficult to deal with are the inside enemies. The mead represents not only the poetic art but also the divine wisdom and knowledge, the Illumination. The nine thralls that Odin kills represent for me the things that prevent us from moving forward. Things like envy, anger, jealousy, laziness, lack of compassion, materialism, greed, negative emotions etc. All those negative things, all those distractions prevent us from having a more balanced life, to be able to be more focused on our spiritual path. If we want to really move forward on the path toward the Odin’s Consciousness, we really have to fight against those enemies, otherwise we will never be able to advance. We will stagnate or worse, step back. I think that it’s the first step if we want to be able to gain wisdom, knowledge and reach enlightenment. Recognize, be aware and thus fight these elements that can prevent us moving forward is really an important process to our evolution. The Nine men’s work that Odin does for Baugi symbolize for me the fact that if we want to advance, if we want to have the chance to taste the Mead of Wisdom and Knowledge, we must strive to live our life according to the Nine Noble Virtues and the Nine Charges, to live an honourable and useful life. By doing so, we will be able to live a more balanced life, a more focused life. We will be able to play more skilfully and correctly the game of life settled by Orlog. In doing so we also will be able to learn something more for our next incarnation. And perhaps after many other incarnations we will be able to reach Asgard. But without striving to live in accordance to the NNV, we will never be able to improve ourselves. I think that if Suttung refused outright to let them have a single drop of Mead it’s because he maybe considered that Odin is not ready for that at the moment. Before he could taste the mead, he had to pass through a certain number of ordeals; he had to learn more things, to gain knowledge – in a certain way, to prove he was worthy to taste it. For example, we can compare that with the Profession into the OR. Sometimes people ask to be professed but as the CG considers that they are not ready, they must wait. It’s not that they will never be Professed, just that it’s not the right moment for them. It’s the same with wisdom, knowledge etc. We will reach them when we are ready and worthy to reach them and not before. When we die, we will surely not be able to join Asgard, to taste the Divine Mead after our first incarnation. We will have to live many other incarnations to learn more and more, to become more and more awakened before we will be ready to reach Asgard. The next part of the myth is full of symbolism and maybe the most important part. First Baugi bore a Hole in the mountain. Tunnels, caves and other holes in mountains have played an important role in religious practices but also in “initiatory rites”. It is said that the cave are access to the lower world (Hel). It’s common in shamanic journey to begin the journey by entering into a cave. By passing through the cave we gain access to the lower world, a place where we will be able to meet our Fylgja, a place where we can learn deeper knowledge. It’s also a place of transformation, a place of rest. We know that after we die, our “litr” will go to Hel (lower world) and that we will have to pass a number of ordeals to see if we had a honourable and balanced life etc. We will spend many incarnations in the realm of Hel before being able to join Asgard. The mountain also symbolizes our “ascent” toward a higher consciousness, our path toward our Higher Self. We can make a connection between the snake entering the cave, climbing the mountain and attaining the summit to take the shape of an eagle with the Vedic concept of the Kundalini, the rising of our vital force to a higher potential. I think that the snake can represent different things. He can represent our level of evolution. In this case it’s meant that we are in an earthly condition. We live a normal life, with a normal level of consciousness. This is not bad; this is just the average level for normal people. But at this level we are not enough awakened to taste the mead of knowledge. When speaking of the path of the dead, in this level we will rest in Hel until we are ready for our next incarnation in Mdigard. The snake can maybe also represent our Fylgja who will lead us through the different ordeals until we reach the Thingstead to be judged by the Gods. As I stated above, I think that Gunnlod wears a Valkyrie name. So I think that we can see her as a Valkyrie. We know that the Valkyrie represent our “higher-self”. She acts as the guardian/guide for the soul and she is our link with Asgard. We know that it’s the Valkyrie who will lead us to Valhalla in Asgard if we have learned to respond to life correctly, if we have lived an honourable life and if we have gained true insight and understanding. I think that during the three days that Odin spends with Gunnlod before drinking the mead, Gunnlod acts as a guide and tutor for him. If we compare with the myth of Sigrdrifa and Sigurd we see that the Valkyrie has not only offered the mead/beer but she also taught secrets to Sigurd. So I think that it’s the same with this myth. We learn and we prove for the last time that we are worthy to drink the Divine Mead Of Wisdom and Knowledge. If we are able to “meet” with our Valkyrie, she will be able to teach us a lot of wisdom. As I said above, I think that the three recipients of mead symbolize the three Wells In Hel’s Realm: Hvergelmere, Mimir’s well and Urd’s well. By drinking the Mead of these three vessels, we learn the knowledge of all the realms. At a personal level, we become a really “whole” being, a totally balanced being. These three Wells correspond to the three levels of consciousness that we have as individuals: the super-conscious, the conscious and the sub-conscious. So, by drinking the “mead” of these three wells we are able to “surpass” our small ego, to become one with ourselves and with the multiverse. We are able to “meld” the “material” and the “spiritual”. We reach the illumination or Odin Consciousness. This new state is symbolised by the eagle. The eagle is a symbol of the sun, of divinity. The eagle is symbolic of our supra-consciousness, the state we gain when we have reached the Odin Consciousness. After all the endeavours, the ordeals, the work on ourselves we have to face, we rise above our earthly condition. We become united with the earth, the air, the sky, all the elements, and all the multiverse. We have fully blazed the spark of divinity that each of us has inside us. So here is a short analyse of this very interesting myth. I really think that this myth was an important myth for our Aryan ancestors. We find several connections with the Rig-Veda. This myth also has connection with some other myths in our Germanic Mythology. I’m sure that we can analyse this myth in many other different ways but it’s how I see it at my current level of development.